Outsource Data Recovery is determined to provide the highest level of service and expertise in your data recovery projects. The International Standards Organization creates guidelines to ensure that services are reliable and of good quality. ISO 9001:2008 certifies that we consistently meet customer expectations and aim to continually enhance customer satisfaction. ISO 145664 certifies that our cleanroom exceeds Class 5 cleanroom requirements ensuring a super-clean environment for working on delicate hard drives (100 or fewer particles measuring ≥0.5µm per cubic foot of air). ACE Laboratory is one of the leading providers of data recovery solutions worldwide. 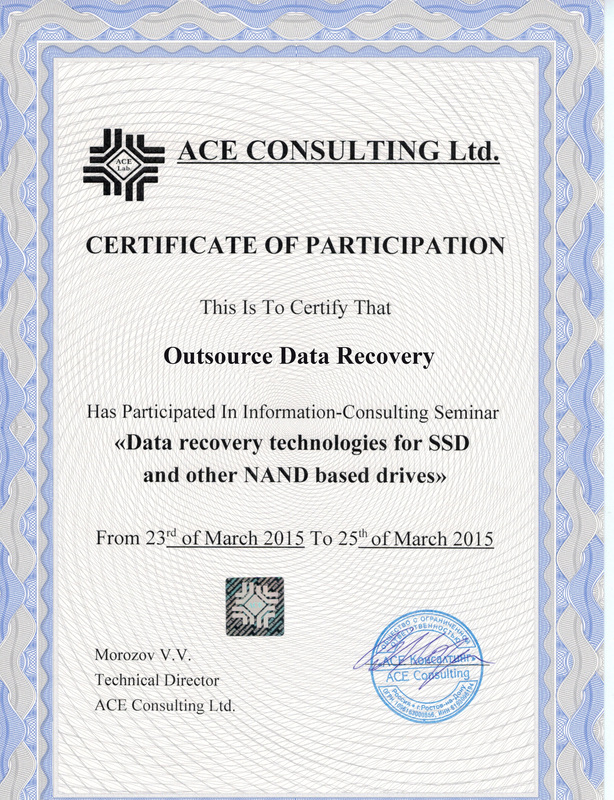 Outsource Data Recovery has received extensive training and numerous certifications from them, including New Advancements in PC-3000 Flash and Data Recovery for SSD and NAND-Based Drives. Infosec Institute is one of the leading instructional institutions in the field of information security. 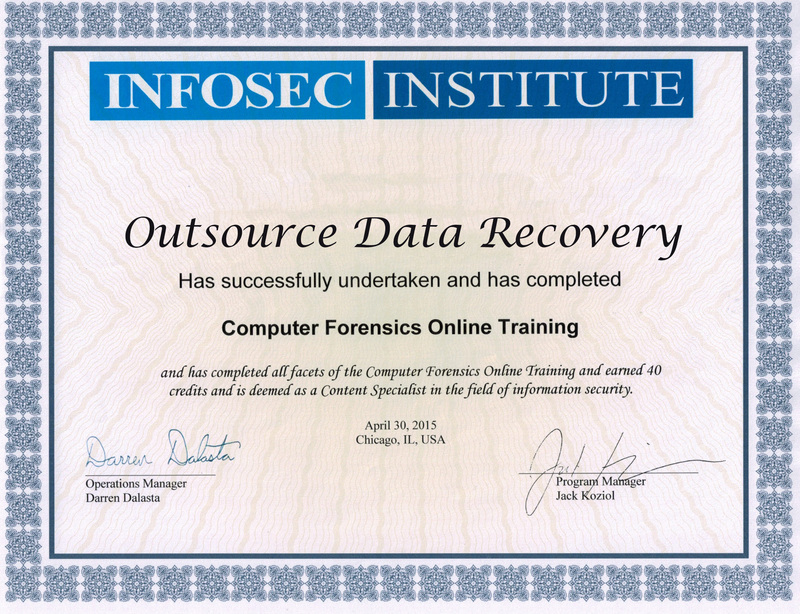 Outsource Data Recovery has been certified by Infosec Institute in the field of Computer Forensics . X-Ways provides one of the leading digital forensics software solutions in the world. They certify select, highly trained users, such as those at Outsource Data Recovery as X-Perts. Deepspar is a leading provider of data recovery technology across North America, also offering training for professionals in the field to continue their advanced education. Outsource Data Recovery has completed certification courses showing advanced knowledge in using the technologies Deepspar sells.